Hey, hey The Graphics Fairy peeps! I’m Jessica from Mom 4 Real, and I am so excited to be here sharing some of my easy tips and tricks! 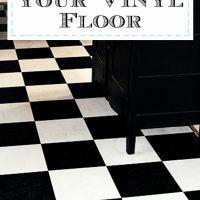 Some of you may know me already…I put together all of the Reader Featured Projects here at TGF, and now in addition to showcasing your fabulous projects, I am also going to share some of my tips with you! I am kind of passionate about cleaning. Not in the I love to clean way, more in the I love when cleaning is easy way…ya know what I mean? I believe it should be as easy and natural as possible. I’m not a huge fan of all of the new chemical filled cleansers that have been put out there to make cleaning so called easier. I prefer sticking to doing things the way my grandmother did them…au naturale! 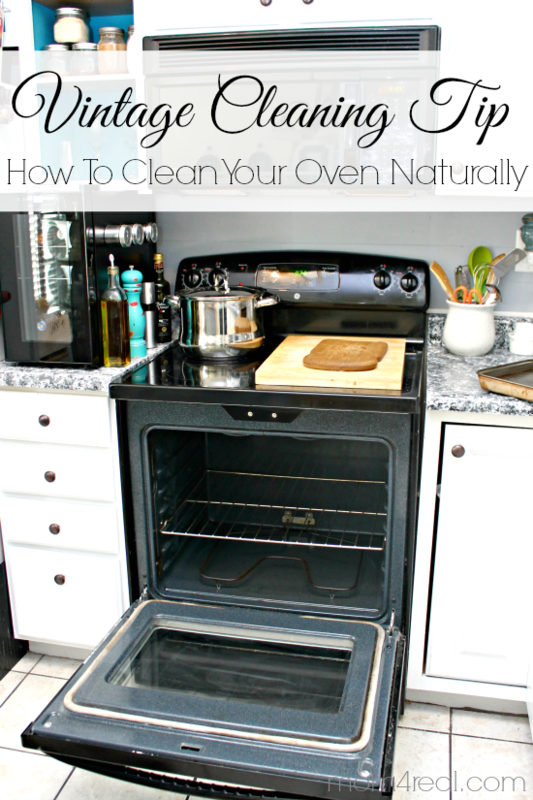 Today I’m going to show you how to clean your oven naturally with only two ingredients and a little bit of elbow grease, just the way my Grandma Gosney did it! You may want to close your eyes and skip the next photo…it’s a doozie, and I am quite ashamed. 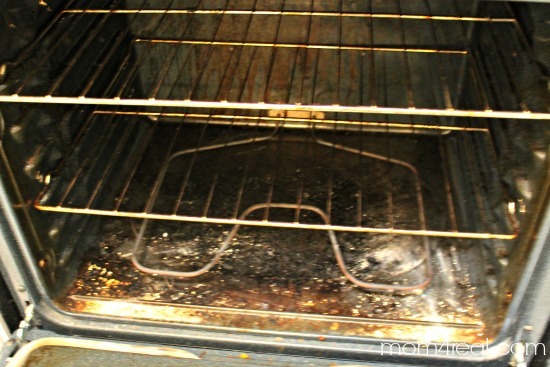 This is my oven before…it’s shameful, I know. In my defense, I just cooked Thanksgiving dinner in there a couple of weeks ago, and I’m pretty sure it’s seen about 10 frozen pizzas and lots of drippy cheese since then. I know, gross…but for the sake of being able to show you that you can actually get it all the way clean, I had to shame myself…we can move on now. 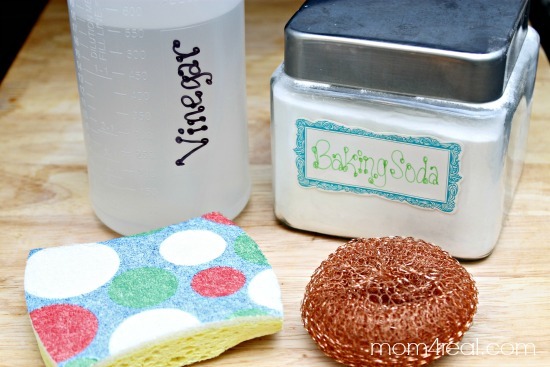 You will need white vinegar, baking soda, and some time of scrub sponge. I used a sponge with a scrubber, and because mine had quite a bit of burnt on food, I also used a copper pot scrubber. I started by pouring on a thick layer of baking soda. Then I spritzed the baking soda with vinegar. It started to bubble up a little and get to work, so I left it there for about 30 minutes. I then came back and scrubbed the burnt on food away. The baking soda and vinegar mix just does something to loosen those bits, and once it did its magic, it took me 15 minutes to scrub the entire inside. I then rinsed it with water using a dish rag. 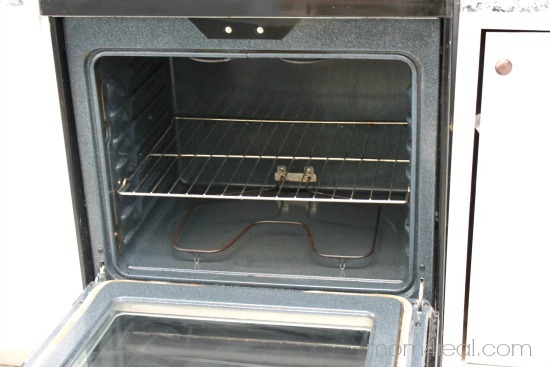 I used the copper scrubber to scrub my oven rack as well. I just took it into my bathtub and scrubbed it with warm water…all clean now! I have to be honest, at this point, I’d almost rather not cook in there. I mean it’s so clean now!!! Now my kitchen is all clean and tidy, and I can feel at ease in there instead of anxious! Want more tips for cleaning your kitchen? 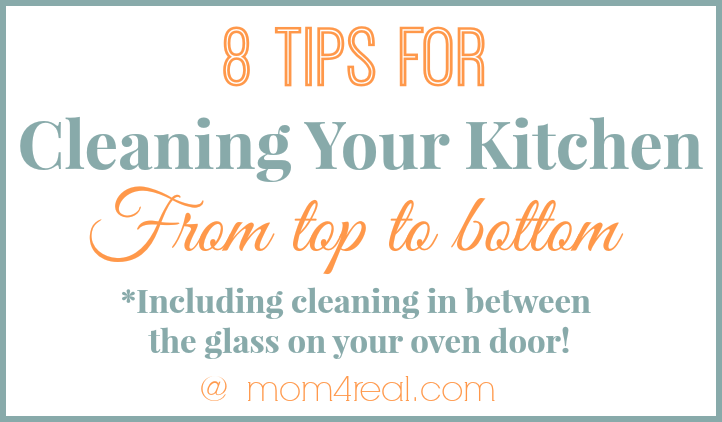 I’m sharing my 8 favorite tips for cleaning your kitchen from top to bottom, including how to clean in between the glass on your oven doors —> CLICK HERE! Thanks so much for having me over! If you have any tips or tricks you would like to share or see, let us know in the comments below! 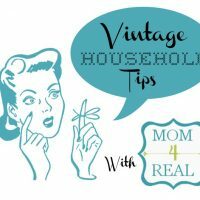 10 Tips For Cleaning With Baking Soda – Vintage Household Tip 10 Tips for Cleaning With Salt – Vintage Household Tip My Secret Tip- How to Clean Vinyl Floors – Easily! Awesome. 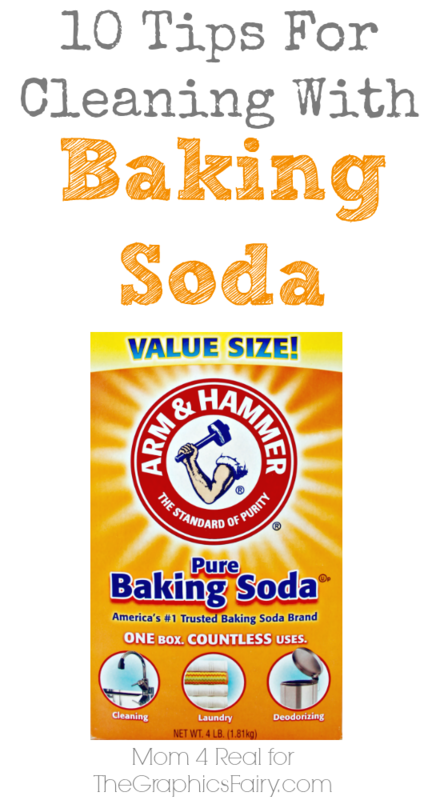 I use baking soda and vinegar in my bathroom too. I hadn’t thought of using it as an oven cleaner. Great tip which I will use. I knew there was something like that, but hadn’t looked it up. 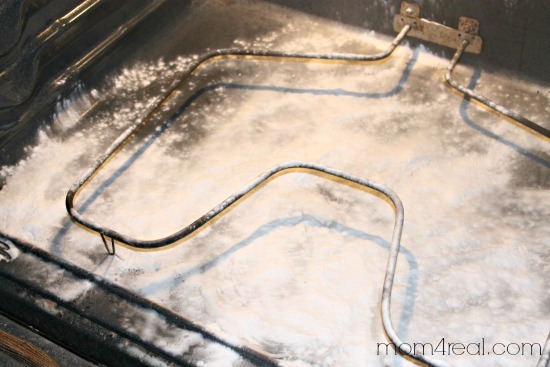 My son made a mess of my oven – even melting a plastic lid on the bottom, so it looks about like yours. I’ll be trying this next week! Your kitchen looks just like mine, except my microwave isn’t in the hood! Your cabinets and countertops are nicer, but still the small space at canning time! Oh goodness, Susan…hope it helps! 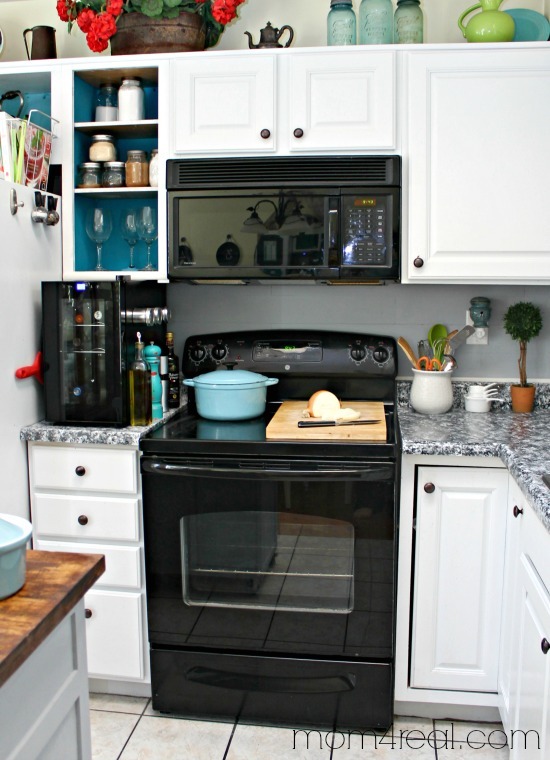 I painted my cabinets and countertops, and it was much easier and less expensive than I expected. Next month I am sharing some tips for painting your countertop to look like granite, so maybe it will help! Thanks for the sweet comment! Can’t wait to see your pictures of You painting your Counter Tops and Cabinets! Want, No NEED to do this in our fifties Kitchen! Looking forward to see what you did and how you did it! Thanks! Thanks for your comments ladies, I’m glad you all liked Jessica’s tip today! Cheryl, I hear ya on the smell with the automatic setting, sometimes it can even do some funky things to the cabinets next to the oven too, like cause some yellowing (if they are white) or make them peel if they are thermofoil! Yikes! Thank you for this! 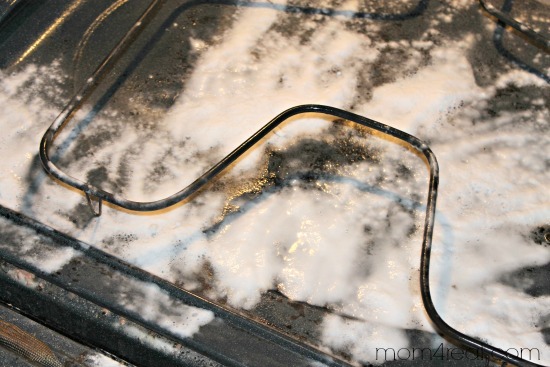 I really don’t like chemical oven cleaners and that’s why my oven looks bad – I don’t want to deal with the fumes and the creepy feeling they give me! 😀 I use lots of white vinegar for other cleaning. I can’t believe I haven’t heard of this before. It’s so simple, too! Great tip it will save me money too!!!! It took me MORE muscle than I had! A ttough job, and I left the stuff on longer, and then respritzed and let it sit some more. Had to get my husband’s muscle in on it. I hate cleaning the oven. I hate cleaning period! Wow, Jessica, you did a real wonder with that oven, I’ll tell you that! I’m making a big kitchen cleaning, so you are my motivation of the day! Is it white vinegar you use? What is the best way to clean louvered hanging closet doors? I recently moved into a rental where it looks like the closet doors have NEVER been cleaned (or repainted for that matter). I want to make sure they are thoroughly clean before painting. Also, while I’m at it, what’s the best way to paint them if you don’t have a sprayer? Hi Jamie, This post was written by friend Jessica, from Mom4Real. 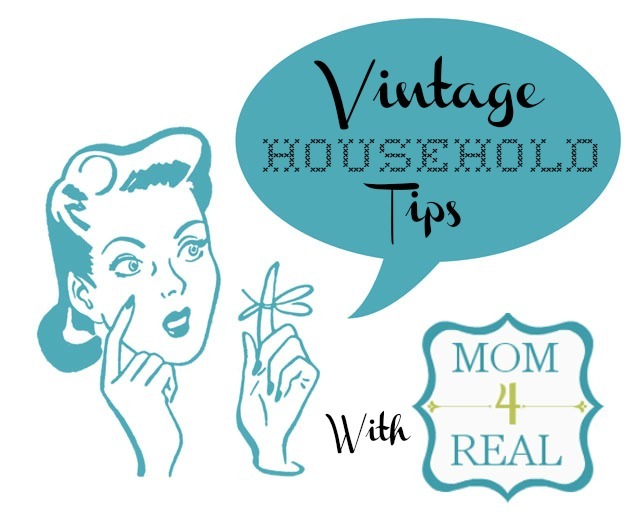 She’s an expert at all things cleaning, you can find her blog here http://www.mom4real.com/ I’m sure she’ll be able to help you out with your questions!